Here is a collection of SMS, quotes and text messages shared by friends that greet you a nice day and try to make you laugh so that your morning will be sweet and memorable. If I could make all the girls I want fall in love with me easily, how could I tell myself I did my best to make you love me. I may not be Instagram, but I can store your smile in my mind. I may not be Facebook, but I can remember your moves. I may not be Wikipedia, but I know the color of your eyes. I may not be Google, because I have limited memory, but it is full of everything about you. Hi. It's a short simple word, but it's how love starts. 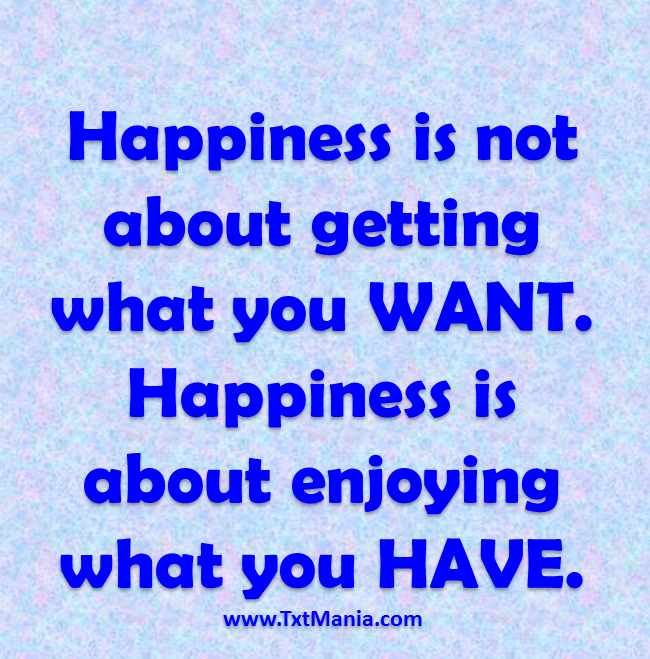 Happiness is not about getting what you want. Happiness is about enjoying what you have. The worst part of being strong is that no one ever asks if you're okay. The only thing that keeps me humble is the lack of success. Success can be boring but failure keeps me dreaming. The People whO wAnt to sTay in YourLife wiLL aLwaYs Find A way. Looking for the right person is like looking for a healthy food. It doesn't need to be delicious as long as it's good for the heart. all work and no play makes a dull day. all play and no work makes one hungry. gud friEnds r Lyk c0ffee,sugar and crEam dey hvE diff.apprance and purp0ses buT weN d0s thngs mixd 2gdr, it wiL create dLci0us drink. I read on the newspaper that sending text messages causes a radiation that is cancerous. That's why I have decided to stop–to stop reading newspapers.